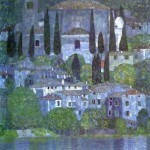 Gustav Klimt’s 1915 oil on canvas masterpieces, Litzlberg on the Attersee (Litzlberg am Attersee) is expetced to fetch $25 Million (£15.5 Million) at Sotheby’s New York on November 2nd 2011. 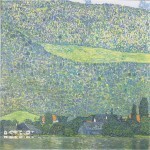 The painting depicts a dramatic view of the countryside of Lake Attersee in Western Austria, where Klimt spent most of his summers. 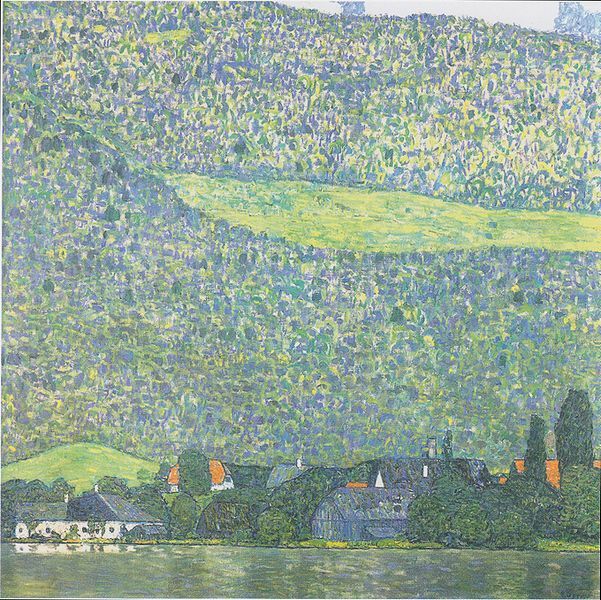 As usual at Fabulous Masterpieces, you do not need to have a spare £15.5 Million pounds lying around if, like me, you would love to buy this painting you can commission an oil painting replica of Klimt’s Litzlberg on the Attersee in its original dimensions here.